Hi Lovelies. There’s nothing more fabulous than a simple style piece that makes a statement and a dress can do that so effortlessly. 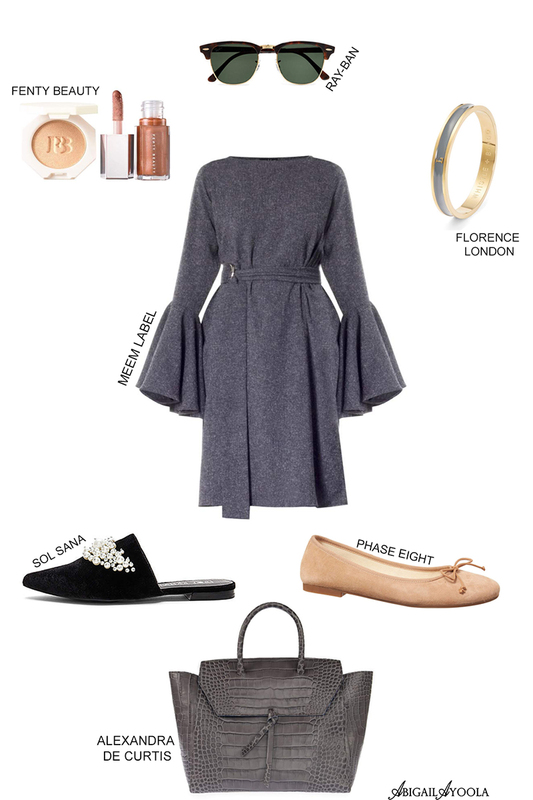 Today’s outfit inspiration features a Fluted Sleeve Grey Dress that is such a versatile and elegant piece that you won’t have to do much to compliment it. Perfect for the chic woman’s work day, this grey dress can be paired with Blush Suede Ballerina Pumps or Black Velvet Pointed Flats for elegant daywear comfort and striking stiletto heels for the evening. You can even rock this look for a weekend getaway or soiree, and as grey is such a playful colour palette, the options are endless when changing up the colours of any complimenting accessories. Enjoy!